Having found how much the extra smooth paper buckled when wet( more than my other card stash) I decided to paint images without doing a wash background, hoping to preserve my flat card. 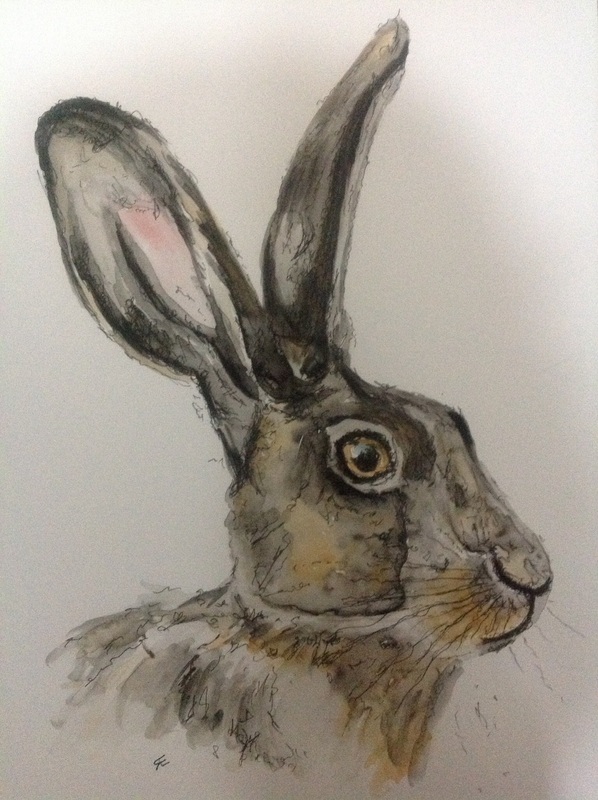 So I have gone back to a traditional coloured hare, keeping detail minimal. I also used a 0.3 permanent pen to ink outlines. I guess it had to be a hare……maybe something else soon?